On the occasion of Matthew Day Jackson’s special presentation at Hauser & Wirth Los Angeles, please join us for a discussion of the artist’s work with curator Hamza Walker. 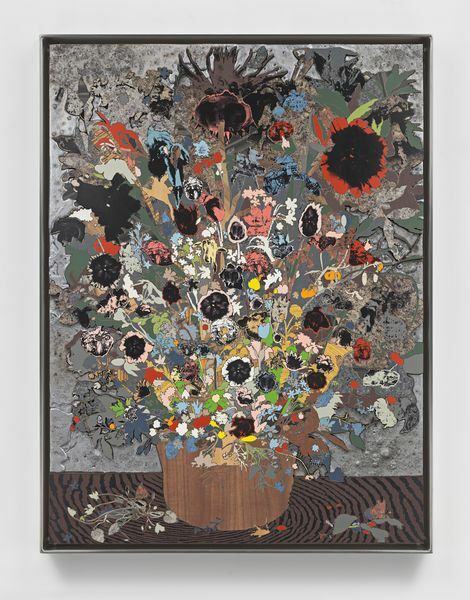 Matthew Day Jackson is an American artist whose multifaceted practice encompasses sculpture, painting, collage, photography, drawing, video, performance and installation. He was born in Panorama City, California, in 1974 and currently lives and works in Brooklyn, New York. Since graduating with an MFA from Rutgers University in 2001, following his BFA from the University of Washington in Seattle, his numerous solo exhibitions have marked him out as one of the most inventive and thought-provoking artists of his generation. Hamza Walker is Executive Director at LAXART. From 1994 – 2016, Walker served as Director of Education for The Renaissance Society at The University of Chicago, a non-collecting museum devoted to contemporary art. Prior to his position at The Society, he worked as a Public Art Coordinator for The Department of Cultural Affairs. He has written articles and reviews for such publications as Trans, New Art Examiner, Parkett and Artforum. He has served on numerous panels, locally, nationally and internationally and is the recipient of the 2010 Ordway Prize, the 2004 Walter Hopps Award for Curatorial Achievement, and 1999 Norton Curatorial Grant.